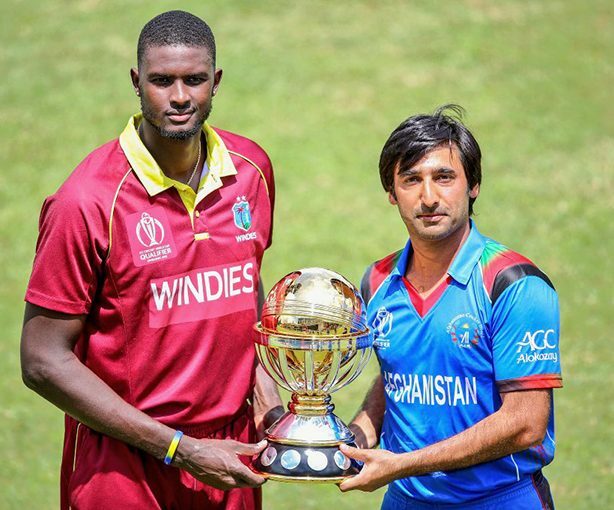 The Windies booked one of two tickets to the ICC Cricket World Cup to be held next year in England, despite going down by seven wickets in the final against Afghanistan on Sunday. 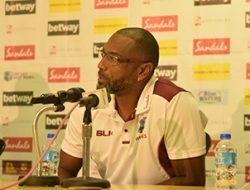 In retrospect, it was mission accomplished for the Stuart Law coached unit which was admirably lead by Jason Holder, who was one of the stand out players of the tournament. 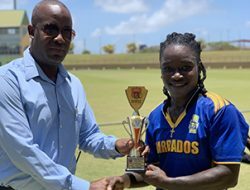 The Bajan scored 219 runs and took 15 wickets in eight matches. 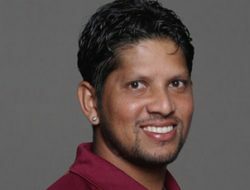 His game-winning 5 for 53 in the opening match of the tournament against the UAE was the catalyst that saw a run of four straight wins for the team. 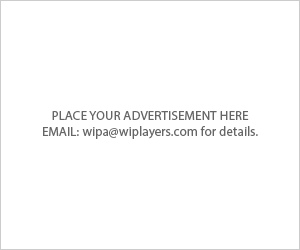 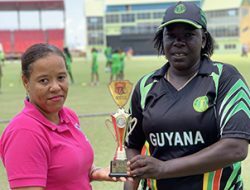 Holder would then lead with the bat, scoring 99 not out against Papua New Guinea and followed that up with three wickets against Afghanistan and four wickets against Zimbabwe in the Super Sixes. 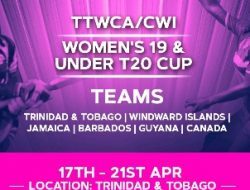 Holder’s Bajan teammate Carlos Brathwaite had one of the best bowling figures in an innings in the tournament after claiming 5 for 27 against PNG. 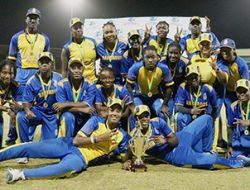 The seam bowling unit, completed by Kemar Roach, Kesrick Williams and Kemo Paul, also represented themselves well. 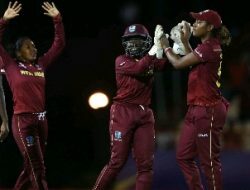 Roach and Williams picked up four wickets a piece in their 52-run win against Ireland in their Group Stage encounter. 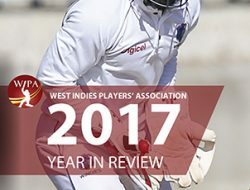 On the batting side, the Windies had contributions from pretty much everyone at varying intervals. 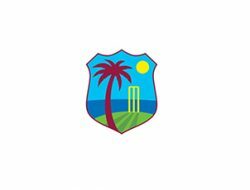 In the opening game against UAE, it was Chris Gayle and Shimron Hetmyer who lit up the batting with scores of 123 and 127 respectively. 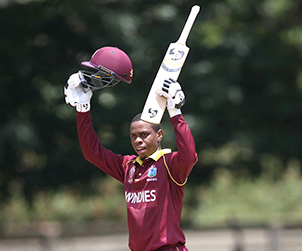 Hetmyer’s 127 was his maiden ODI century, and the 4th highest score in the tournament. 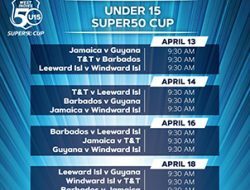 The young Guyanese would go on to score 241 runs in seven games at an average of 34.42. 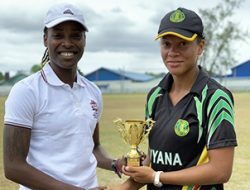 Another batsman that put his hand up in the tournament was Trinidadian Evin Lewis. 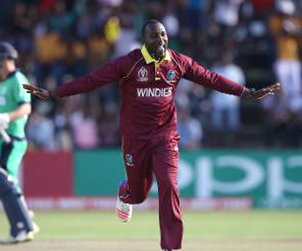 The Twenty-six-year-old opener outshone his partner at the top of the order, Chris Gayle, scoring 397 runs across the eight matches, with three half-centuries at an average of 49.60. 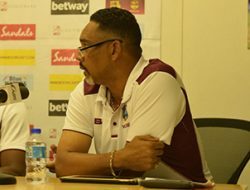 He showed not only his ability to hit big sixes but also a willingness to stick around on pitches less conducive to his natural game. 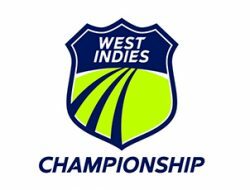 Those performances allowed Lewis to be named in the CWCQ team of the tournament (along with Jason Holder and Marlon Samuels). 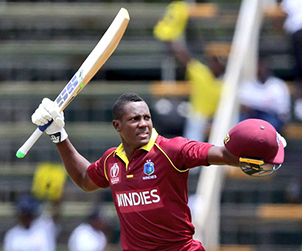 If there was ever a Rising Star award for the Windies, that prize would go to none other than Jamaican Rovman Powell. 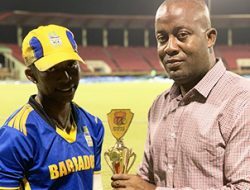 The twenty-four-year-old all-rounder showed true grit and determination and proved himself as a tough performer with the bat as well as a useful seam bowling option. 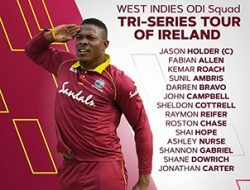 The powerful Jamaican decisively turned a crucial group match against Ireland with his maiden ODI century just when the Windies seemed in dire straits. 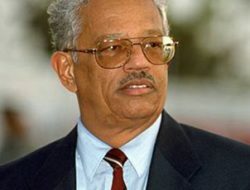 Entering the fray at 83/5, Powell struck seven sixes and seven fours in a remarkable 100-ball 101 that guided his team to a match-winning score of 257 from their 50 overs. 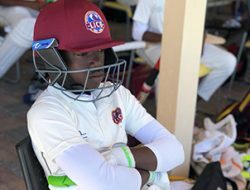 He then hit 52 against the Netherlands and, with the Windies once again collapsing, top-scored in the final with 44 from 75 balls to help them up to a respectable total of 204.